Whether you’re a brand new user who’s just signed up today in the US, or you’ve been a member for years, here are 6 ways to make Spotify an even better music service. If you’re looking for the basics, see our beginner’s guide to Spotify. Spotify’s built-in music discovery side isn’t that hot. Luckily, and that’s where Spotibot comes in. This service offers a range of features that use Last.fm data to help you find music you’ll love. Spotibot’s headline feature lets you enter the name of an artist you like and have a Spotify playlist of related music generated automatically. 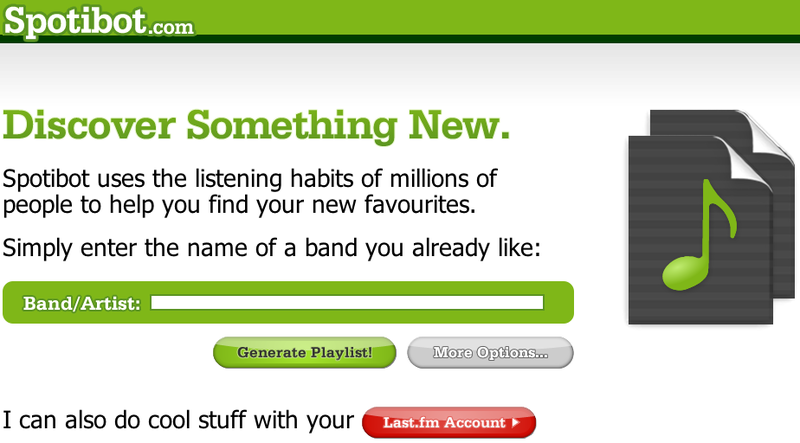 If you enter your Last.fm username, it will generate a playlist based on your listening history, too. Once you have a playlist you like, you can simply drag an on-screen icon into Spotify itself to start listening. Other Spotibot services let you receive recommended Spotify songs via Twitter and transfer your Last.fm account’s ‘Loved’ tracks to a Spotify playlist. There are plenty of sites out there for sharing Spotify playlists, and Share My Playlists is widely recognised as a leader. Essentially a social network build around music taste, it allows you to browse a huge library of nearly 47,000 playlists covering everything from dubstep to 60s soul. You can follow other users to keep track of their latest activity on the site – great for when you find someone who strikes you as a real tastemaker. Mobile apps are available for iOS and Android, allowing you to browse playlists on the go and push them straight to your Spotify app to play right away. 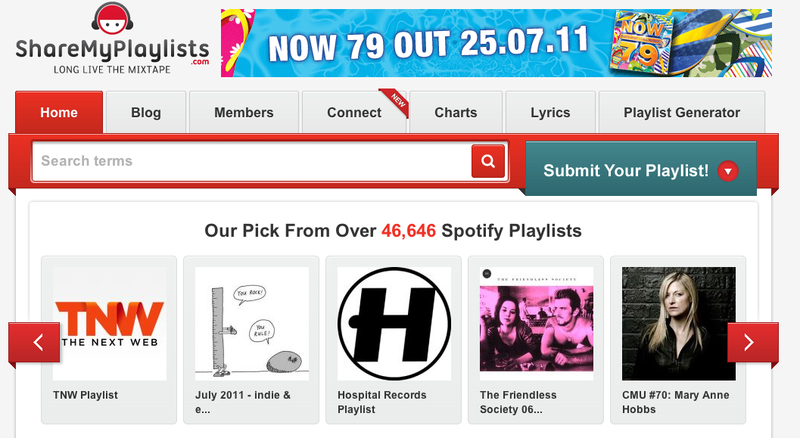 Check out The Next Web’s Spotify playlist on Share My Playlists here. Sonos is a multi-room, wireless music system for your home. In addition to support for other services like Last.fm and Napster, Spotify is now part of its offering. 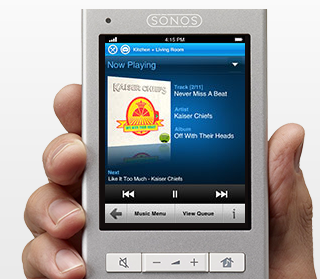 Essentially, it gives you the Spotify mobile app experience on your Sonos handset, with acces to the full library of songs and all the playlists you’re subscribed to. Turntable.fm is the most exciting social service of the year (according to us) and it’s a brilliant place to find new music, as selected by other users as they DJ. If a tune particularly grabs you and you know you’ll want to listen to it again, move your mouse over the area under the turntables on the screen. Then click the Spotify logo and it will be loaded up on your Spotify app to add to the playlist of your choice. Quick and painless! If you like music that is above all else credible, then Pitchify is the place for you. Using reviews from sites like Pitchfork and Drowned In Sound, it picks out the best new music and links directly to it on Spotify. Simple and effective listening inspiration for self-confessed music snobs and anyone who likes to know what they’re listening to has the critics’ seal of approval. Ever wondered what the lyrics to that song you’re listening to are? The answer’s a quick Web search away, but even easier is ListDJ, which once installed and activated provides an opaque window displaying the lyrics of the current song you’re playing on Spotify. If doesn’t work for every song, but most of the songs we tried it with worked great. These aren’t official extensions, but this Chrome add-on lets you search any highlighted text on a web page of Spotify. Just highlight the name of an artist and click the button.From here you can click any track listed to open it up in you Spotify app. A similar extension is available for Firefox too. Want the geekiest Spotify experience around? How about controlling it entirely using text prompts? To see what Spotify would have been like if it had been launched in 1993 and run on MS-DOS, try DeSpotify Simple. 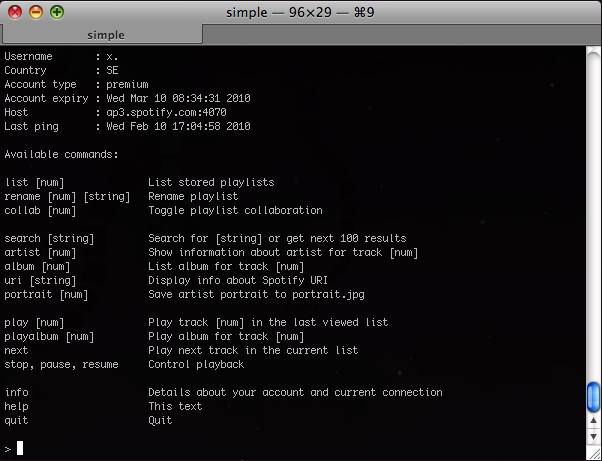 Commands are available to search for music, play songs and albums and to edit playlists. Sadly, you’ll have to be pretty geeky to get the thing going in the first place as it has to be compiled from its source code, which you can find at Despotify.se along with a number of other third party Spotify clients built using the API.